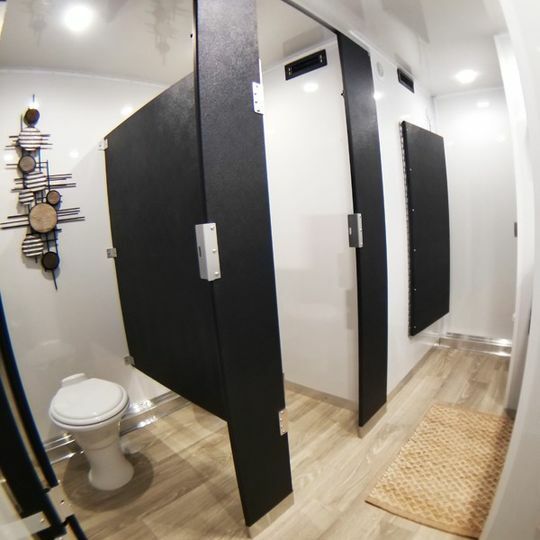 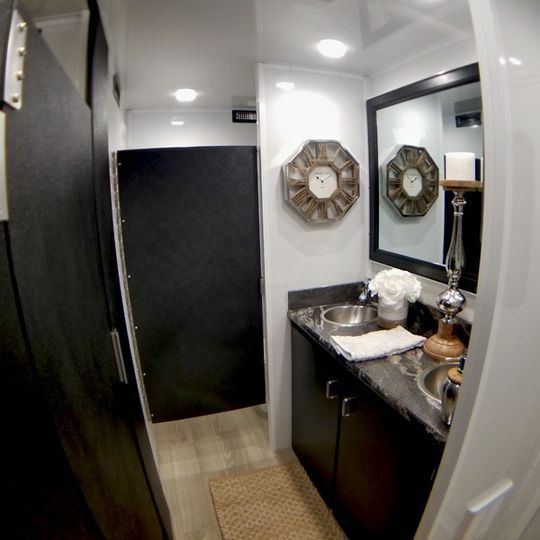 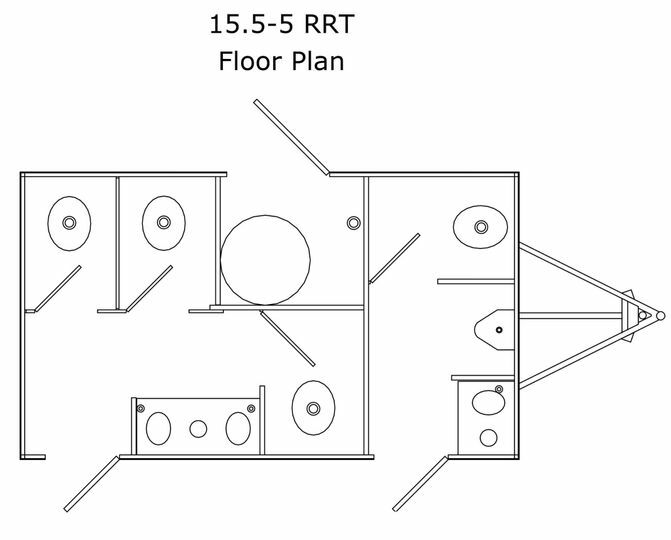 BATHrooms On A Roll offers luxury restroom trailers that are perfect for your wedding or special event. 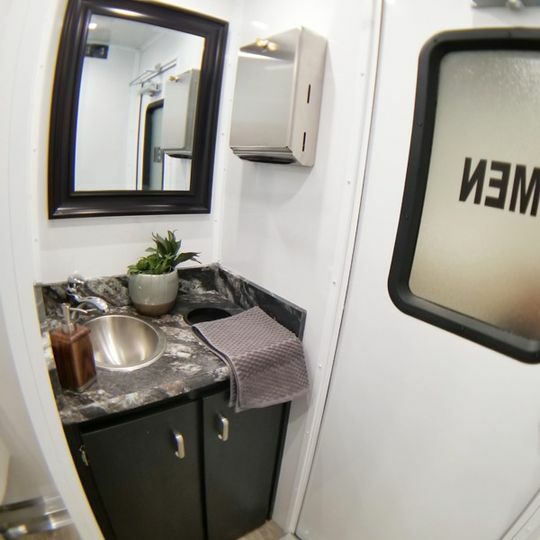 Brand new trailer with heat and air, bright interior and exterior lighting, with over sized vanity areas. 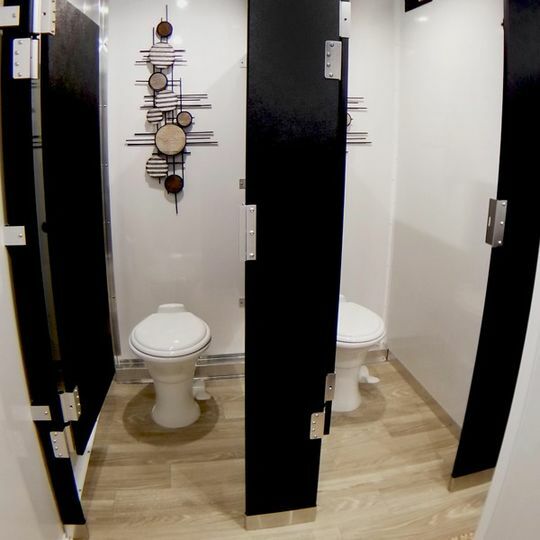 The women's side has three full stalls and a double vanity. 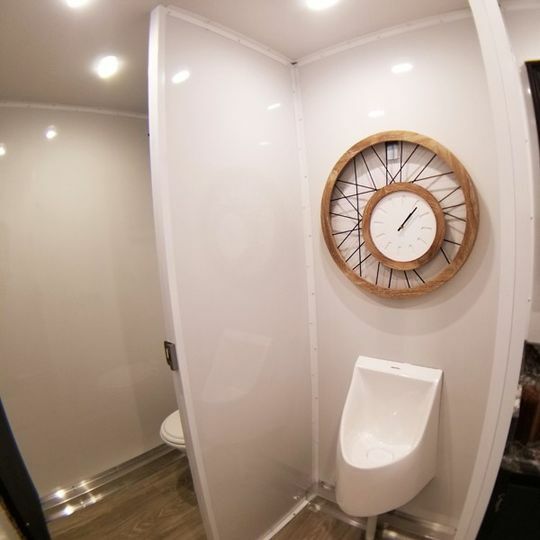 The men's side has a stall, a waterless urinal and a single vanity.